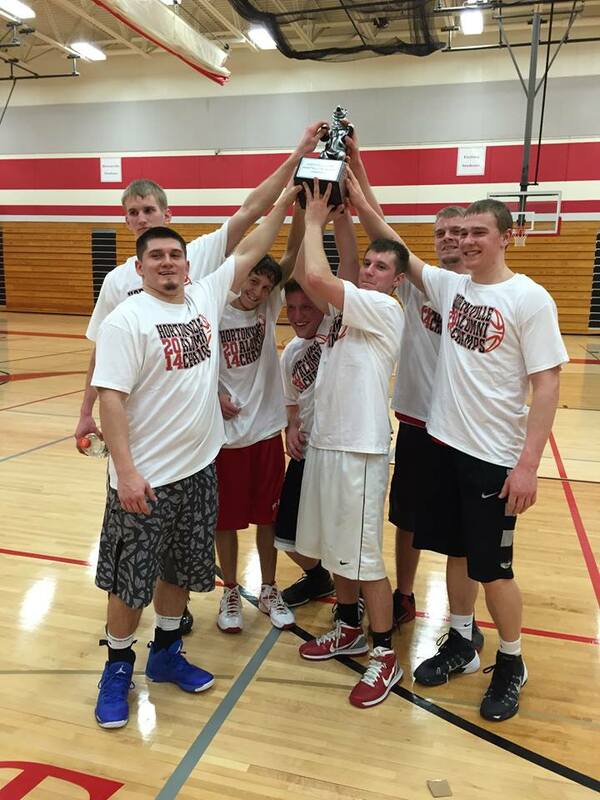 Congratulations to the winners of the 35th Annual Hortonville Alumni Tournament – the class of 2012, who defended their title from 2013. Ok the big day is finally here! A few housekeeping items. 1. Your money is due before your first game at the scorers table $120 – if paid later there is a $20 late fee. 2. The high school has been remodeled and you now need to park in the big parking lot in the back and head in the new front entrance. No other doors will be opened or allowed to be used. The gyms are the first hallway to the left. 3. We will be supporting the Hortonville Backcourt Club which in turn supports the youth basketball program as well as the high school program. They will be selling fundraising calendars for $10 a piece. Each calendar enters you in to win up to $3250 in cash prizes. You don’t need to be present to win and if you win your name goes right back in so you can win again. Please look for a table or some FROSH walking around selling these calendars and support them. 4. The party will be tonight at Otter Creek – free refreshments will start at 9pm and we have the back room reserved. 5. We unfortunately will not have access to the scoreboards in the field house due to the new fancy scoreboards and the complexity/equipment needed to run them. So we will be using a portable score clock in there. The gyms have been booked! This years tourney will be on Friday December 26th and Saturday December 27th. We will need to start early on Friday and get two rounds in as we cannot get the gyms on Saturday until after noon.